When it comes to wearing hair extensions and weaves, the main goal should be to obtain a natural appearance. No one wants their extensions or weaves to be easily detected and this is why many installations require leaving hair out in the front for a seamless covering of tracks. Unfortunately, this weaving method presents the hassle of blending one’s own hair with the texture of the extensions. To be successful in the blending process, constant heat is required and the risk of intense heat damage to the scalp is high. Luckily, closures are available to provide the installation with a flawless appearance along the natural hairline. 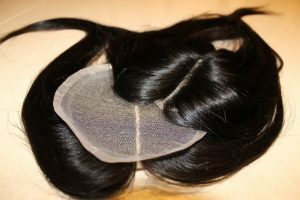 This article will discuss which types of closures are better for a perfect weave – silk vs lace closures. When considering silk vs lace closures it is important to take into account that lace closures are constructed with individual strands of hair on a lace foundation. This is beneficial because it provides a scalp-like appearance when placed against the skin. Furthermore, it assures that the installation will be flat, making it look natural. One of the disadvantages of using lace closures is that they will require regular “tweaking”. The dot pattern created when the hair strands are integrated into the lace will be visible when placed against the skin; therefore, it is best to bleach the knots in the closure to remove this grid-like effect. The bleached knots will not simulate the individual strands of hair if the closure is not bleached correctly and will be visible as an unnatural hairstyle. Foundation or concealer can be used to overcome this problem. The silk closure design is created with hair strands incorporated into a silk material that is supported by lace and imitates one’s skin. This is highly beneficial because the closure will last longer than a lace closure and does not require any bleaching. The knots of the closure are undetectable; therefore, the closure imitates the scalp without any need for changes. Despite the fact that the silk element conceals knots, not all scalps are the same and it can be difficult to deal with skin tone. If you have a darker skin tone, it may be necessary to tint the silk base. Furthermore, this type of closure tends to be thicker and it can be difficult to achieve a flat installation.